How much longer for Mourinho? Leave a Comment on How much longer for Mourinho? HAS JOSE MOURINHO lost his mojo? It certainly looks like the decline that started at Chelsea in 2015-16 is continuing into his first season with Manchester United. The unconvincing league form, and a disappointing European campaign both suggest that the “special one” may be past his best. Chelsea fans may have seen the last embers of a glittering managerial career. The two trophies in 2014-15 revived Mourinho after his final year at Real Madrid, but if you look closely at the past five years, there is a clear decline in effectiveness. Should we be surprised? Not really, as every manager has a golden period and with the odd exception, most do not continue to win trophies for longer than say a seven year period. In fact, for the vast majority, it is even shorter, so there can be no denying that Mourinho has been an exceptional talent. The word “has” is the important one here, for Mourinho – along with Arsene Wenger – may now belong to the past. There’s no doubt that Manchester United’s current form is below par, despite huge capital expenditure in the summer. And with Chelsea’s resurgence this season, largely with Mourinho’s under-performing squad of last term, questions have to be asked if the Portuguese can recapture the intensity of his earlier career. If you examine the win-rate of Mourinho’s career, the indications are that his effectiveness is in decline. Across all competitions, Mourinho enjoyed a win-rate of 67% in his first spell with Chelsea, falling to 62% at Inter Milan. At Real Madrid, this went up to 71.9% but since returning to English football he has fallen to the lowest levels since before his Porto days. That said, only Pep Guardiola has a batter overall career record in terms of win-rate. Mourinho is something of a method actor, and an effective one at that, but he may not have the diverse tactical nouse to change or evolve. If that is the case, then he may have been found out and his moment in the sun has passed. Does he have a “plan B”? Even the most successful managers have their creative peak – Helenio Herrera, arguably the closest thing we’ve seen to Mourinho in the past, had his time and declined after leaving Inter in the 1960s.That people like Sir Alex Ferguson can sustain success over an extraordinarily long period is truly remarkable. 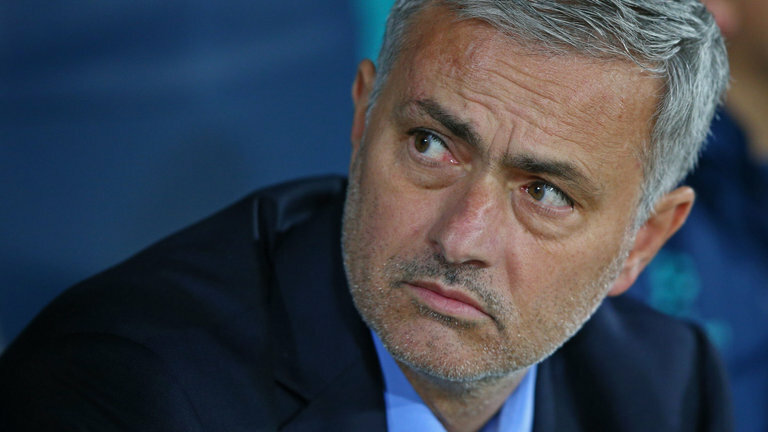 And that’s partly the problem for an increasingly anxious looking Mourinho. Whether he stays beyond this season depends on if he can lift United beyond their current mediocrity. The signs are not good.